Gary J. Frank P.C. - Phoenix AZ Divorce & Family Law Blog: WHY IS STEVE NASH TRYING TO STOP HIS EX-WIFE FROM MOVING WITH THE CHILDREN? WHY IS STEVE NASH TRYING TO STOP HIS EX-WIFE FROM MOVING WITH THE CHILDREN? 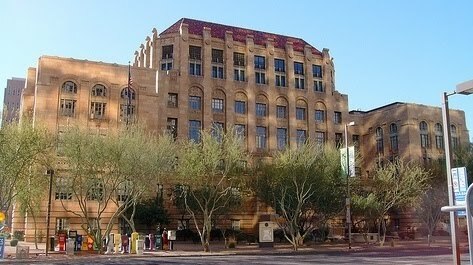 At first it sounds like a typical “Relocation” battle: A father is asking the Court to prevent his ex-wife from moving out of Arizona with the children. But this is not a typical Relocation case. This one involves basketball superstar, Steve Nash. And he isn’t trying to stop his ex-wife from moving the children further away from him – He’s trying to prevent her from moving them to Los Angeles, where he lives! Nash wants the judge to prevent the mother of his children from moving the kids closer to his home! Sadly, this case isn’t about the children. It’s about money. You see, when Steve and Alejandra Nash divorced in Arizona, the former Mrs. Nash received millions in the settlement and, therefore, the Decree did not award her child support. So, what we have here is a mother who wants to relocate with the children for the purpose of obtaining child support, on top of the millions she already has in the bank . . . and a father who is attempting to keep the children further away from him, so as to prevent their mother from from asking for more money. "Is anyone thinking about what is best for the kids?" Gary J. Frank is an Arizona attorney and former Judge Pro Tem with over thirty years of experience in dealing with parenting issues in Family Court. If you are in need of a consultation regarding divorce, child custody, or any other area of Family Law, please do not hesitate to contact us by telephone (602-383-3610) or by email at gary.frank@azbar.org, or through our website at garyfranklaw.com. We look forward to hearing from you.